Chiricahua Peak is the name of a 9,763 feet (2,976 m) peak located in the Chiricahua Mountains of southeastern Arizona, located about 35 miles (56 km) north of the United States–Mexico border. It is the highest summit in the Chiricahua Mountains and the highest point in Cochise County. As with the rest of the Chiricahua Mountains, the peak was formed as the result of a violent volcanic eruption about 27 million years ago. The peak contains one of the southernmost Engelmann spruce stands in the world. There are also extensive stands of aspen on the north slope. Much of the peak was severely burned in recent times, which creates vast open views across the landscape. This includes views across the Basin and Range to Mount Lemmon, Mount Graham, and Mount Wrightson. In addition, Willcox Playa is visible in the basin below. In 2011 the Horseshoe 2 Fire burned a total of 223,000 acres (90,000 ha) within the Chiricahua Mountains causing considerable damage to the trail system. ^ a b c "Chiricahua Peak, Arizona". Peakbagger.com. Retrieved 2014-02-02. ^ "Chiricahua Peak". Geographic Names Information System. United States Geological Survey. Retrieved 2014-02-02. ^ "Chiricahua National Monument Geology Footnotes". National Park Service. Retrieved 2014-02-02. ^ "Horseshoe Two Fire (2011)". Retrieved 2016-08-15. 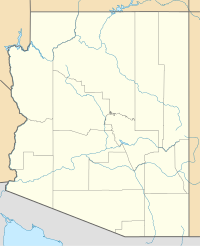 Wikimedia Commons has media related to Chiricahua Mountains. This page was last edited on 20 December 2018, at 15:59 (UTC).